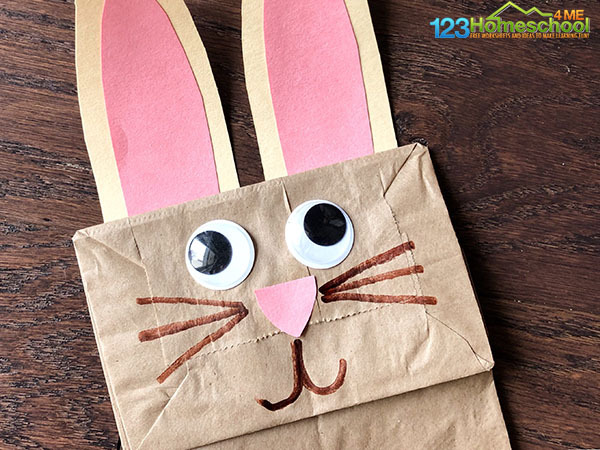 Today we are sharing an adorable Paper Bag Easter Bunny Craft, just in time for Spring!. We always have paper bags and colored paper on hand, so this is an east craft to do without much planning. 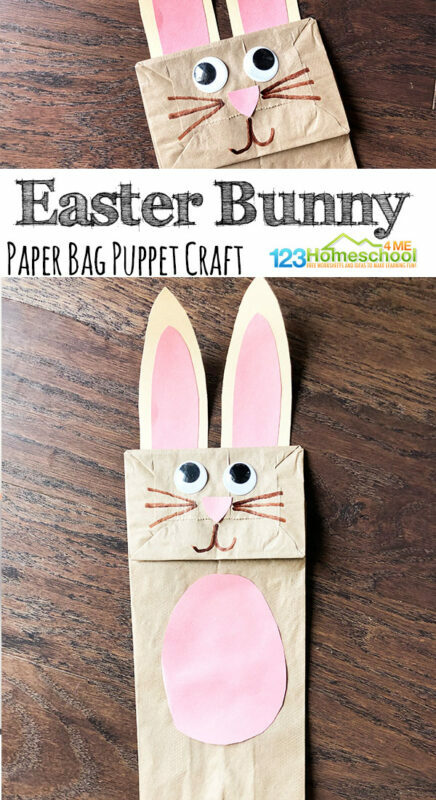 Use this adorable Bunny as a paper bag puppet to put on a puppet show or act out Easter and Spring books or songs for an extra fun time! We just love Easter and Spring time. All things sunshine, rainbows, daisy stem flowers, chicks, movement game with eggs, and bunnies! One of my all-time favorite crafts is our Jumping Bunny Cup Craft over at Creative Little Explorers. 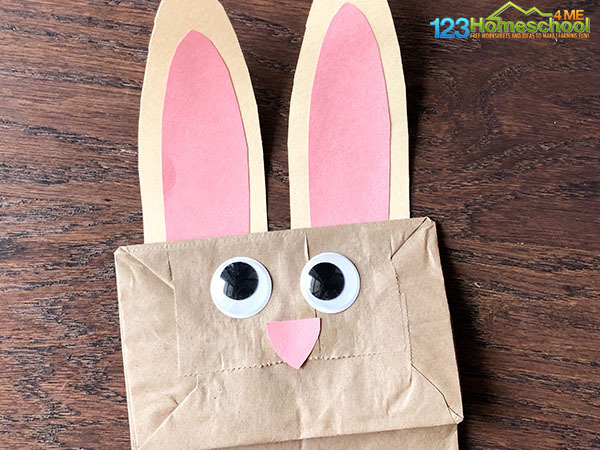 It uses materials we usually have on hand, is super simple, and is fun and interactive – just like this paper bag bunny we are sharing here today! Before beginning this craft, it is best for an adult to cut out the bunny’s ears and nose. Older kids may able to do this on their own, especially if a template is drawn for them. Two long, brown, rounded, triangles for the ears. Two long, pink, rounded triangles for the inner part of the ears. To do this, I cut all four (brown and pink) out the same time at first, and then trimmed around the edges of the pink ears to make them a bit smaller. One rounded, pink, triangular shape for the nose. One pink oval for the belly. 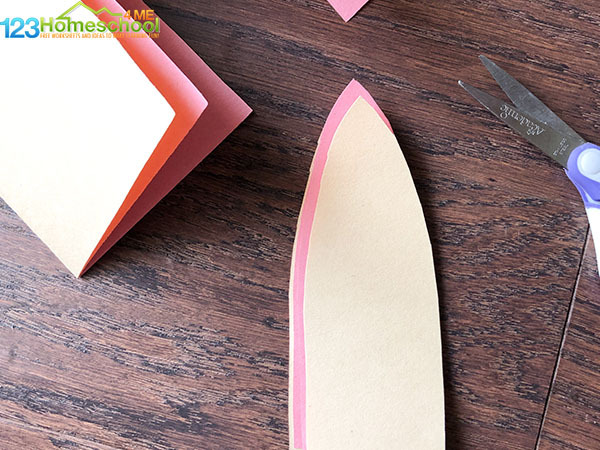 For kids that are able to cut out their own shapes, you can simple draw the above shapes out on the construction paper and have them cut them out. After the shapes are cut out, it’s time to glue them onto the paper bag. First, glue the pink part of the inner ears onto the larger brown/tan triangle shapes. Then, glue the ears onto the back of the paper bag as shown below. Glue the triangle nose with the top point facing upside down. 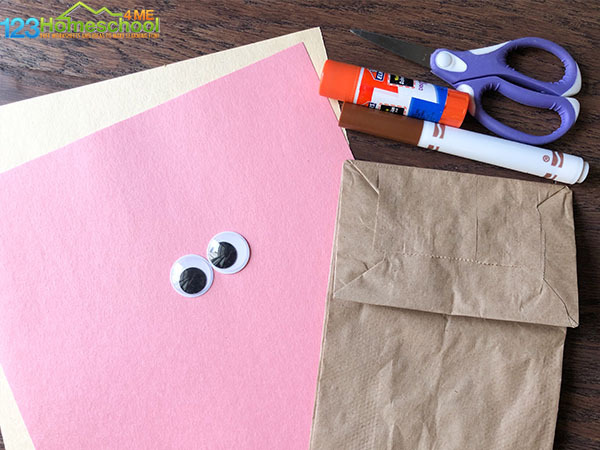 Glue the googly eyes onto the paper bag as shown below. Lastly, glue the orange oval onto the body of the paper bag. This will be the belly. Next, draw the whiskers by drawing three lines coming out from each side of the nose. Let the glue dry. Now your cute bunny is complete! 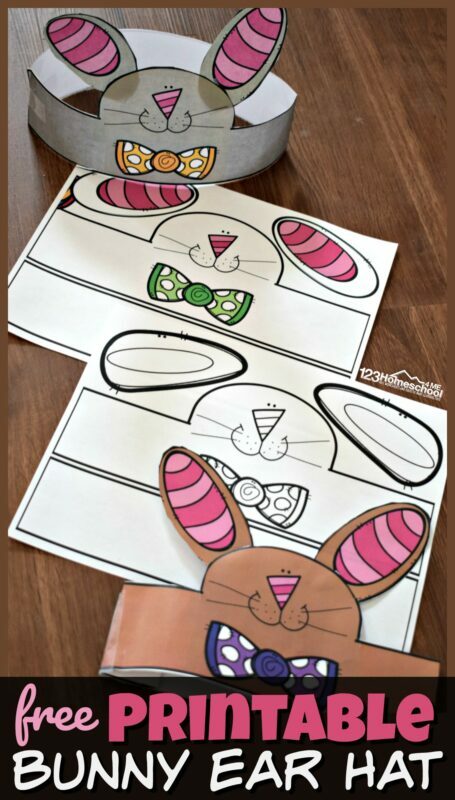 Don’t miss this adorable Free Printable Bunny Ear hat you can print in color or black and white! Several options. Looking for the perfect bunny craft? You will be amazed by the variety of super cute crafts in our 50 Fun to Make Bunny Crafts. 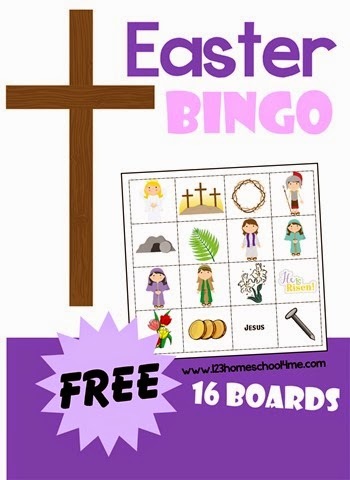 Kids will have fun playing this Free Printable Easter Bingo!